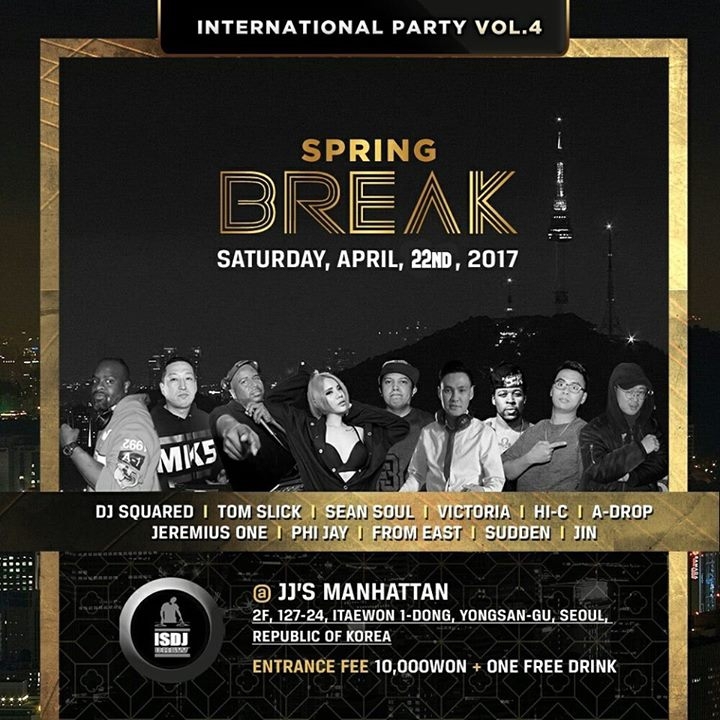 International Seoul DJs are back with another one!!! The weather is clearing, skirts are getting shorter and we are ready to party!! We will be giving away an Exclusive ISDJ T-shirt!! Pre-Sale: Free drink + 10,000won entry fee!!! RSVP tables/bottle service starting at 79,000won + side dish + chasers!! Send us a message or post on the page to RSVP!! !